A vintage-inspired chocolate road trip, from coast to coast. Road trips and chocolate – two beloved American traditions, brought together for my 2017 Art Hop exhibit. For the coast-to-coast theme I thought of some things I've seen in my adventures, and others I hope to see someday – Yellowstone in vintage RV, classic cars and hotel signs on old Route 66, lighthouses and the Statue of Liberty. 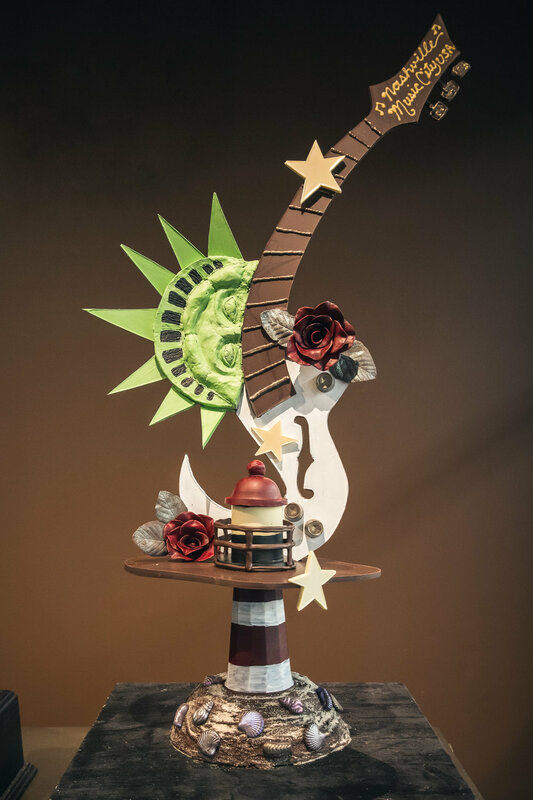 For my chocolate demonstration I assembled the Las Vegas inspired chocolate sculpture. It's such an iconic, vintage symbol.